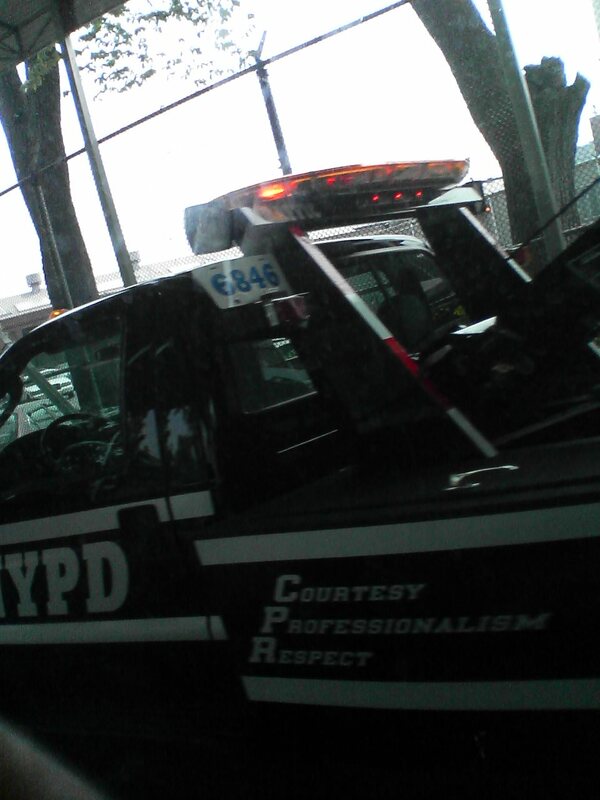 HOW TO HAVE YOUR CAR TOWED IN NYC | I wanna love You better whatever it takes . . . Step 1: Be Lorraine. Trust me, this will help a lot. If you are not Lorraine, see Step 2. Step 2: Try to think like Lorraine would think. Act like you never took driver’s ed; assume that “there’s not a sign there!” means that nothing will go wrong. Step 3: Choose a parking spot. For best results, do this at 6:30 in the morning after driving all night. Assume that “no news is good news” and that this lovely area between the bus stop and the next “no parking” sign must be available and is a fine place to park. Step 4: When your wiser-than-you-in-the-ways-of-parking (or perhaps common sense?) friend asks repeatedly, “Are you SURE you’re in a good spot?”, reassure him that “there was no sign” and “it definitely didn’t say ‘no parking.’ ” Explain that there was a bus stop, and a fire hydrant, but that you are sufficiently far away from both of those. Believe it. Step 4b: Consider going back to make sure that you weren’t mistaken, but don’t bother, as you are distracted by L&B Spumoni Gardens’ fabulous pizza, among other things. Step 5: The next morning, go back to the corner where your car should be. Discover that your car is not there. Have your friend explain to you that you parked in a bus stop. (even though the area is like twice the length of a bus, and even though you still stand by your belief that you ought to be able to park there!) Pray that the car was stolen, as that would be far better for you financially. Step 6: Think to yourself, “I can’t wait to blog this!!!!!!!!!! !” Cheer yourself up with the thought of what a great blog entry this will be. Step 7: Walk back to your friend’s apartment, go online, and find out where you have to go to get your car and how much it’s going to cost you. coming soon: HOW TO GET YOUR CAR OUT OF THE IMPOUND LOT!